The word ‘balictad’ in the Binisaya dialect of the southern Philippines means ‘ to do things the wrong way’……’to go about doing things backwards…..in reverse order’. Colloquially it is a term of endearment for someone who doesn’t seem to have their lives going in the right direction . I have to admit to living in a state of’ ‘balictad’ for years without any permanent scar tissue precluding my generally positive attitude. What is normal anyway? Do your thing baby…whatever it is. Live your dream, seek your passion in life, live with creativity , imagination and love. Penang Malaysia in the second week of the Chinese New Year festival…what a show! Incredible fireworks all over the city from 10 pm until 2 am. From our room on the 10th floor of the Oriental Hotel we could see everything as it happened in 180 degree’s of awesome rocketry. The smoke that blanketed the city simulated a rolling fog moving in. As far away as Georgetown across the harbor on the mainland the fireworks were visible and very active. The street level activity wasn’t bad either. 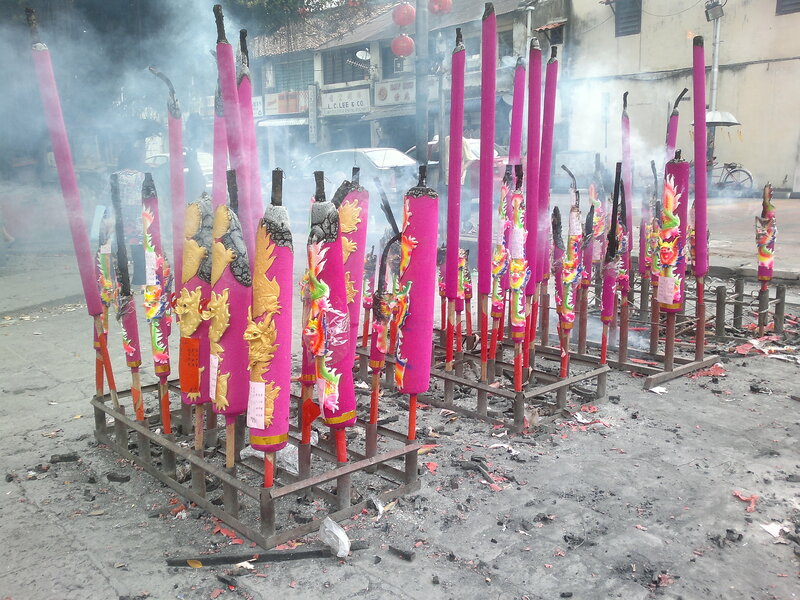 There were so many shop houses cleansing the spirits out of their storefronts that the staccato firecrackers created a strobe light effect on the surrounding neighborhood. Something I hadn’t seen before in Asia was the setting of fires in containers in the street. There was obviously some coordination and local acceptance of these flaming buckets in the middle of the street because cars just drove around them. A wonderful thing for us westerners was the fact that sixteen firetrucks did not coming blasting in nor did an army of police show to arrest anyone…..life went by…..normally…how quaint. 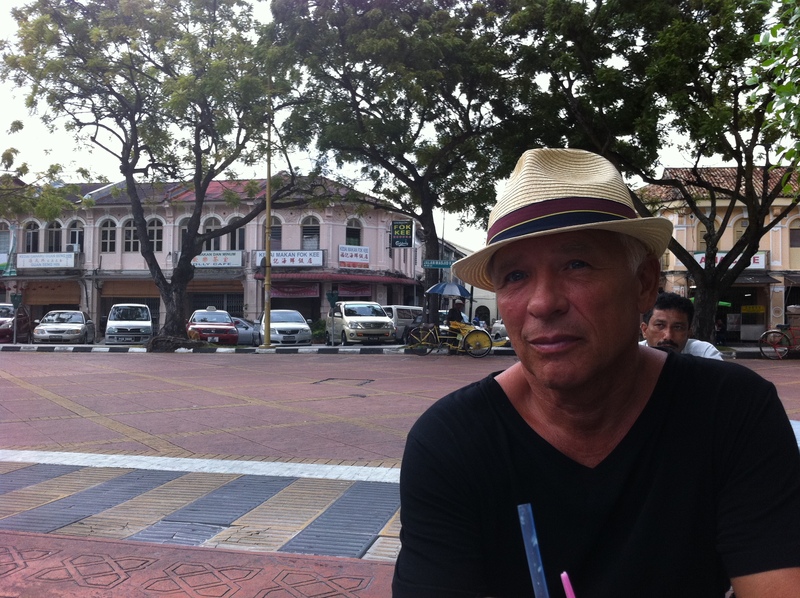 Odd that there ar e so few western tourists here in Penang. It is the most under rated destination in all of Asia IMHO. Maybe that’s a good thing and the prices and the vibe will last a bit longer. 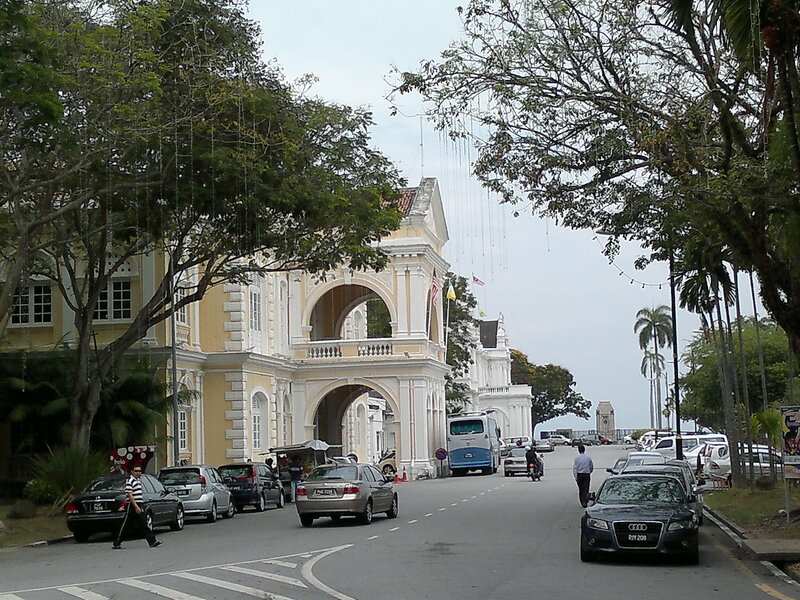 Of course it has changed over the years but Penang has not been over run…nice. Another perk for heavy sleepers is the Mosque alarm..a built in city wide wake up call that shakes you out of bed at precisely 6:15 so that you can get an early jump on the day. There are several mosques in a relatively small area and they had coordinated their call to prayer so that it sounds a bit like a choir…very exotic and definatley a ‘wow’ for someone who appreciates the human mystery. That lucky dragon is certainly in good hands here in Penang, well fed and secure for another twelve years.